The Streacom F7C ALPHA is an updated model of the F7C EVO which brings a new level of refinement to the classic F7C chassis. 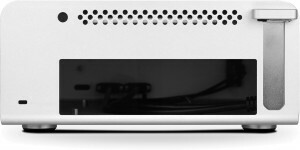 The F7C Alpha shares the same upgraded all aluminium construction and single piece extruded top panel design as its fanless brother the FC8 Alpha, but being actively cooled, Streacom upgraded its cooling potential. It now features room for a larger 92mm side panel fan and extra headroom for larger CPU coolers. The bottom panel vents have also been optimised to improve airflow around the motherboard, reducing overall internal temperature. 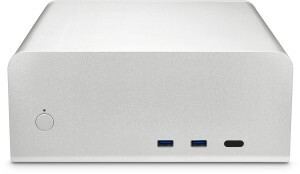 With its clean, simple lines, ability to support larger components such as 3.5" hard drive and low profile expansion card, the F7C ALPHA is perfect for building compact yet powerful systems and it is not available with or without an optical drive slot if a Bluray or DVD drive is not required. 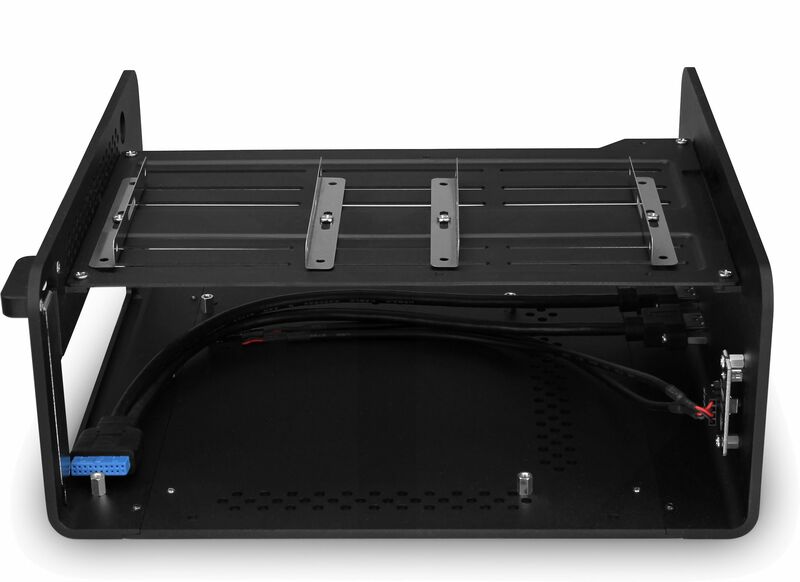 The drive tray has been totally re-designed making it easier to install yet more versatile than ever and now supports 2 x 3.5" whilst still having room for an slot-loading optical drive and 2.5" HDD/SSD. 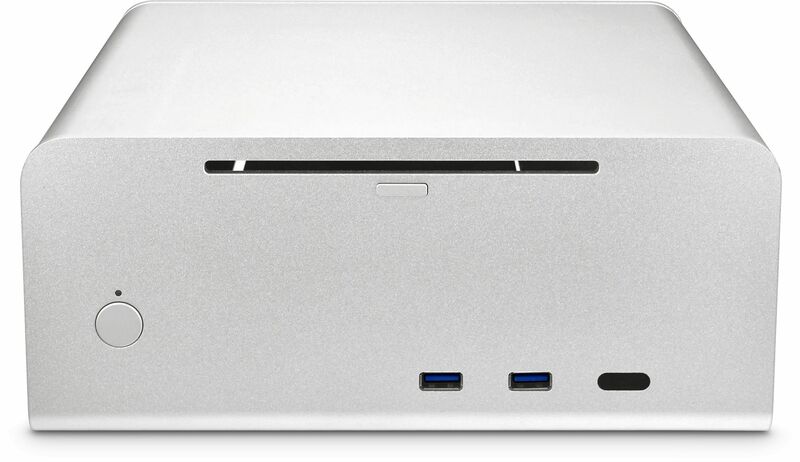 If you prefer the non-optical version, there is room for an additional 2.5" drive, taking the full capacity up to 5x 2.5" or 2x 2.5" + 2x 3.5" drives. 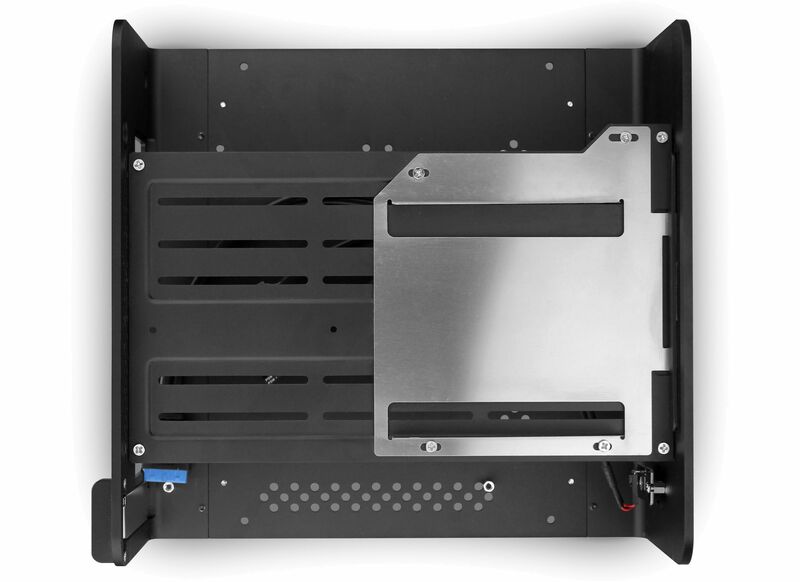 The tray also features variable drive position and orientation mounting, so you can optimally position your drives. 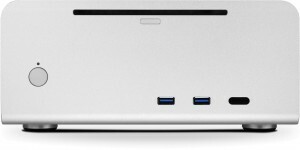 As with all Alpha cases, USB3.0 is native, the power LED is now a subtle pure white. 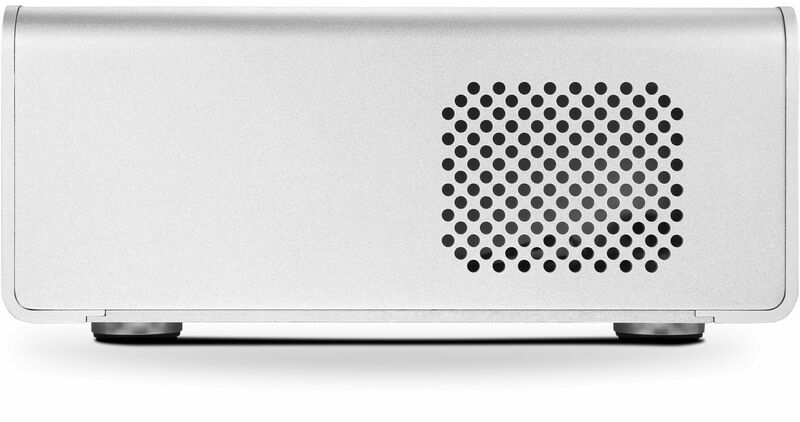 All these improvements to the finish and hardware support make the F7C Alpha an unrivalled enclosure for building a stylish, compact yet powerful system. Streacom has a comprehensive build guide that provides general tips and suggestions on what should be considered when building in a Streacom case and how to achieve the best results. Motherboard and CPU - The F7C is only compatible with Mini ITX motherboards. Due to the fact that the chassis is air cooled, there are no limitations regarding the TDP of the chosen CPU. The only issue to consider is the size of the CPU cooler, which may dictate the CPU to use. Due to the size of the chassis, it is only possible to install a CPU cooler no taller than 55mm (without a 3.5" drive fitted or 32mm with one installed). 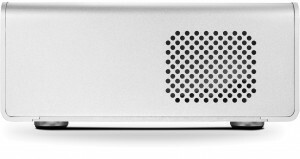 The Gelid Silence iPlus for Intel and the Slim Silence A-Plus for AMD are CPU coolers that will fit the chassis; both available from Quiet PC. 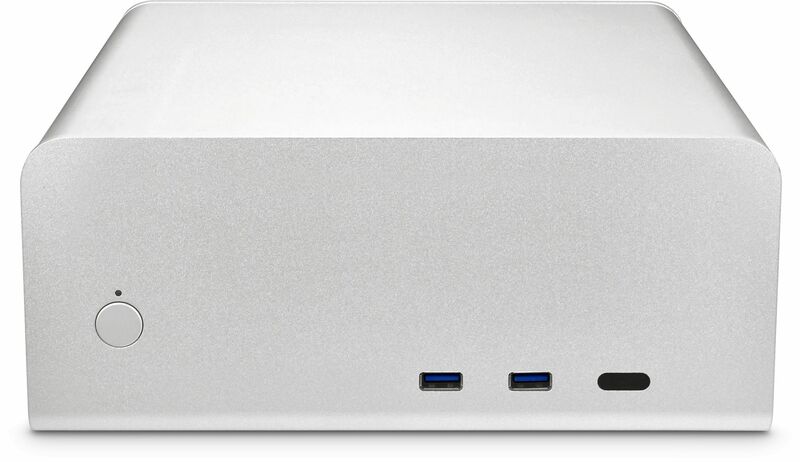 Power Supply - We offer a fanless Nano-PSU that produces 150W of power. This is more than enough to power a CPU that has a TDP of no more than 85W along with suitable peripherals. It is recommended not to overload the amount of peripherals. A single 3.5" HDD (or SSD), one optical drive, a TV tuner and obviously a motherboard should not be a problem for this miniature PSU. 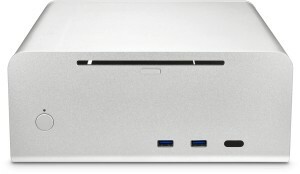 Optical Drive - The F7C ALPHA is compatible only with slot-load optical drives. 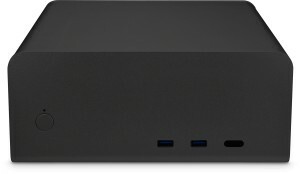 A list of slot-load drives available from Quiet PC can be found here. Remote Control - If you wish to take control of the PC with the use of a remote control, then look no further than the Streacom Flirc IR receiver. It is designed to fit all Streacom chassis and will work with virtually any remote control. If you don't have a remote then you may want to consider this. Thermal Paste - These cases are supplied with thermal paste. We haven't received any reviews of this product yet. Bit fiddly, but worth it! 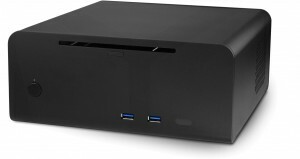 Finally took the plunge and invested in this case to rebuild my HTPC, and I must say I'm very impressed! Not being of a conventional design, I found it a bit fiddly to get the drives installed, so took a little longer than I anticipated to get everything built, but I'm very pleased with the end result; looks stylish on the TV stand shelf, and is finally noise-free! Considering the compact design, there is actually plenty of space inside for hard disks (or SSDs), as long as your CPU cooler is low profile. I have 1x 3.5" HDD, as well as the optical drive, and I could probably squeeze in another HDD if needed. 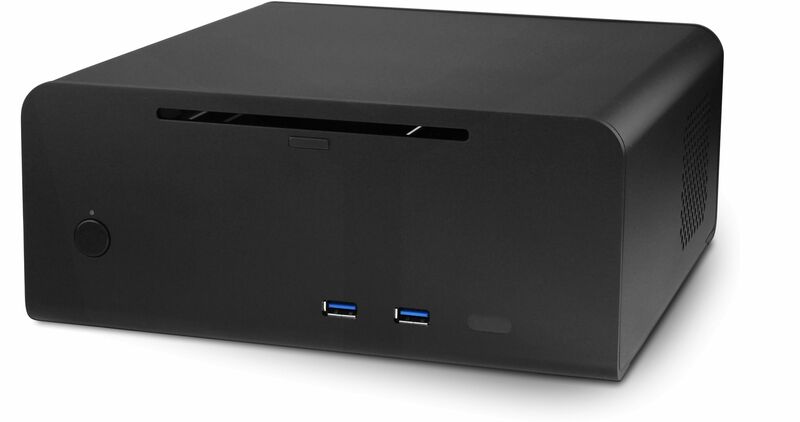 Overall, its an expensive case, but if you want a small, compact, yet stylish housing for a HTPC system, this is just the ticket.